It is not difficult to get arrested for driving under the influence (DUI) in the state of California. In 2016, the California Department of Motor Vehicles suspended more than 130,000 drivers’ licenses after those drivers were arrested for driving under the influence. 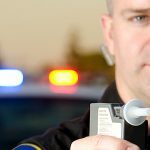 As DUI lawyers in Long Beach, we know that police departments in California routinely use breathalyzer devices to determine if someone should be charged with driving under the influence. Prosecutors in California may also use breathalyzer test results to prove a DUI charge and win a conviction. Any driver in this state can be stopped by the police and accused of driving under the influence. But are the breathalyzer devices used by police officers accurate? Keep reading. This is a brief look at breathalyzer devices and the reasons why, in many cases, breathalyzer test results may not, in fact, be reliable. You will also learn more about your rights and why you must have the advice and representation of an experienced DUI lawyer if you are accused of driving under the influence here in Southern California. WHAT DOES A BREATHALYZER MEASURE? When someone consumes alcohol, that alcohol enters the person’s bloodstream. As that blood moves into the lungs, alcohol vapor is released through the breath. Breathalyzer devices supposedly find and measure that alcohol vapor. A breathalyzer is supposed to calculate the amount of alcohol in your bloodstream based on the amount of alcohol vapor in your breath. ARE THERE DIFFERENT TYPES OF BREATHALYZERS? 1. Evidential breath test (EBT) devices: EBT breathalyzers are the generally more reliable breathalyzer machines at police stations, sheriffs’ offices, and medical facilities. These are the breathalyzers that use platinum fuel cells. 2. Preliminary alcohol screening (PAS) devices: PAS breathalyzers are less reliable than EBT devices, but they’re portable. PAS devices use semiconductor sensors rather than platinum fuel cells. Although EBT breathalyzer devices are considered “more” accurate than PAS devices, both types of breathalyzer test results may be inaccurate for a number of reasons. WHY ARE BREATHALYZERS SO FREQUENTLY INACCURATE? For example, the semiconductor sensors in PAS breathalyzers may detect ketones in the breath and identify those ketones – which are natural bi-products of the digestive process – as alcohol molecules. Breathalyzer results can be erroneous for a number of reasons. Alcohol and other substances that breathalyzers detect and identify as alcohol can be found in beverages, foods, medicines, toothpastes, mouthwashes, and breath fresheners. Like all machines, breathalyzer devices can malfunction. They must be routinely maintained and calibrated at the proper settings, or inaccurate readings are inevitable. And even when it’s been properly maintained and calibrated, a breathalyzer device is susceptible to RFI – radio frequency interference, especially in settings where the police officers are using two-way radios and walkie-talkies. WHO MAY CONDUCT A BREATHALYZER TEST? Breathalyzer exams must be administered only by trained officers who adhere to established guidelines. As mentioned previously, a breathalyzer does not directly measure a subject’s blood alcohol content (BAC) level. Rather, a breathalyzer device estimates the BAC level based on the amount of alcohol vapor in the breath. WHAT PHYSICAL TRAITS CAN INFLUENCE A BREATHALYZER TEST RESULT? This is the problem: A number of factors can influence the amount of alcohol vapor in someone’s breath and how accurately that amount reflects someone’s actual blood alcohol content level. Of course, everyone is different, and even the same person is different over time. Breathalyzers are supposed to compensate for these individual differences, but ketones, RFI, or a lack of proper calibration will almost certainly skew the results of a breathalyzer examination. DUI attorneys also sometimes claim that a defendant’s breath exam was tainted by mouth alcohol from a prior arrestee or by atmospheric fumes or vapors. WHY DO OFFICERS DETAIN SUSPECTS PRIOR TO BREATHALYZER EXAMS? Because alcohol must move through the bloodstream to the lungs before a breathalyzer test can yield results, testing someone too soon after drinking will provide an erroneous result on the high side. That’s because right after drinking, residual alcohol briefly remains in the mouth and throat. To avoid this problem, police are trained to wait fifteen minutes before conducting a breathalyzer test. During this “deprivation period,” the officer observes the suspect to ensure that the suspect does not vomit or try to put anything in his or her mouth. Alcohol evaporates rapidly, so fifteen minutes is sufficient to ensure that a breathalyzer test is not skewed because of alcohol residue in the mouth. A number of medical conditions may also skew a breathalyzer test result. These include acid reflux, heartburn, and gastrointestinal reflux disease – conditions that can create acid in the stomach, mouth, or esophagus and cause an inaccurate test result. 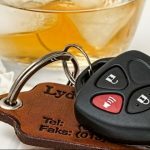 WHEN SHOULD YOU CONTACT A DUI DEFENSE ATTORNEY? In the end, however, if a law enforcement officer believes that you are too intoxicated to operate your vehicle safely, you will be arrested. A PAS breathalyzer examination merely gives that officer additional evidence against you. If you are arrested and charged with driving under the influence in Southern California because of a breathalyzer exam result – or for any other reason – it’s a serious matter. Take it seriously. 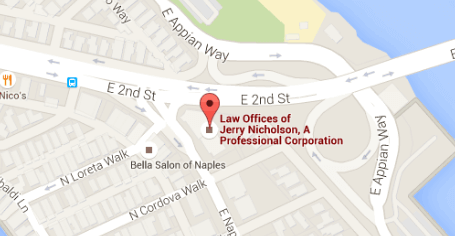 You must contact an experienced Long Beach DUI lawyer as quickly as possible. You’ll need aggressive defense representation if you are charged with DUI. Even a first-offense misdemeanor driving under the influence conviction can send you to jail for a year in California and cost you a $1,000 fine. 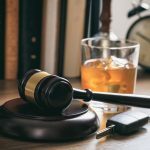 WHAT’S THE BEST ADVICE A DUI LAW FIRM CAN GIVE? As you already know, the best advice for avoiding DUI trouble is not legal advice – it’s just common sense: Don’t Drink and Drive. Even renting a room or “crashing” on a friend’s sofa beats facing a driving under the influence charge. This cannot be stated strongly enough – do whatever it takes to avoid drinking and driving. Do not let a conviction for driving under the influence wreck your future or steal your freedom. A good DUI lawyer’s help is your right. If you are charged with driving under the influence, get that help immediately. Your future could depend on it. 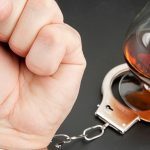 What Kind of Penalties Can I Expect for a DUI?